Heavy dark green foliage mounds like the cloud it's named for, about six to eight feet tall in ten years and as wide. Fat white candles grow upright. 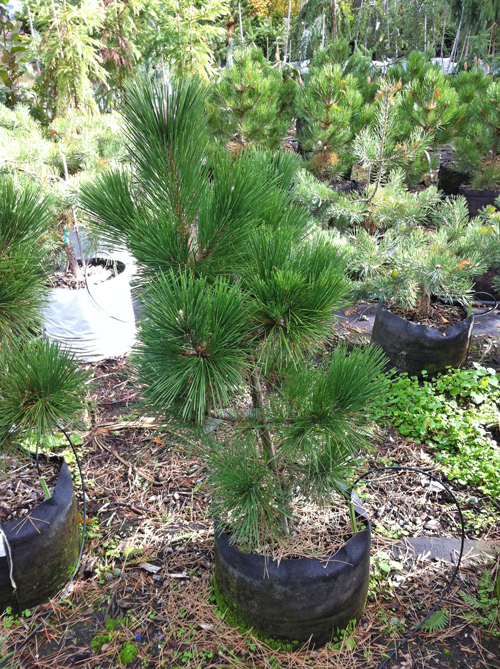 Give this plant the excellent drainage pines prefer, with some summer water and full sun.